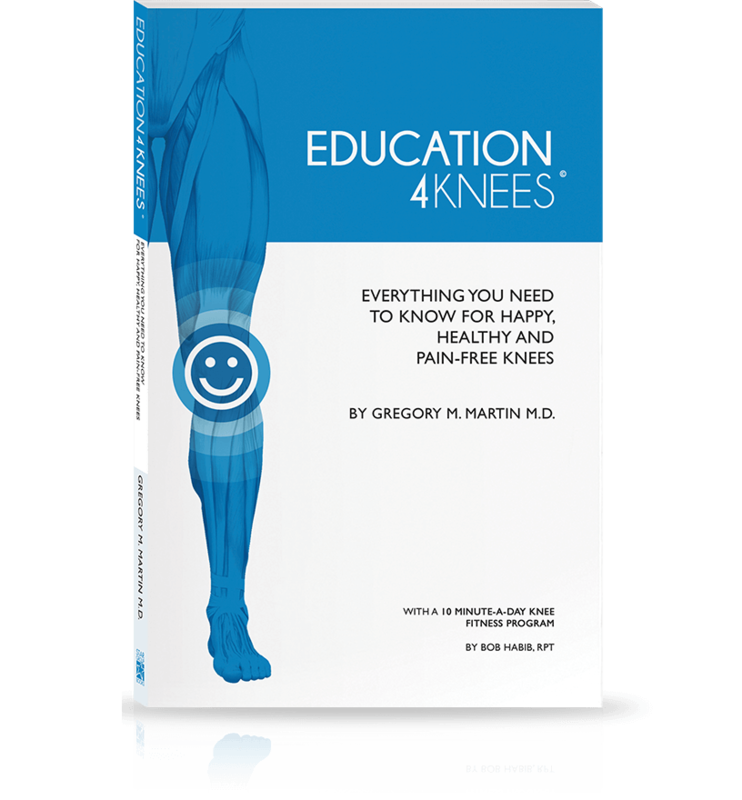 Knee Pain BlogHome » Knee Pain Blog » Knee Anatomy – What are the Parts of the Knee Joint? Complex in structure and but simple in function, the knee joint is a masterpiece of anatomy. Every aspect of its design—the bones, cartilage, ligaments and tendons—must work together to function properly. 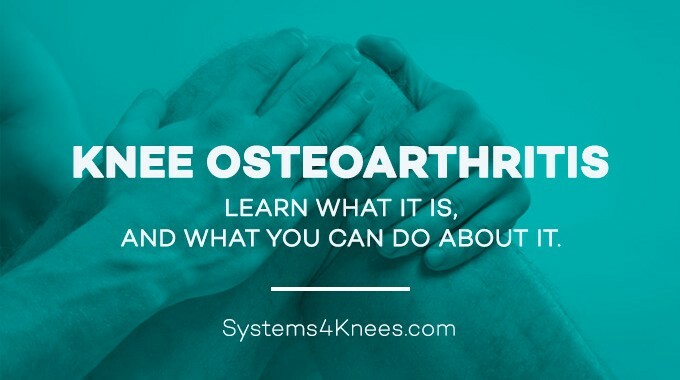 Over time, wear and tear, bangs and sprains, heavy lifting or even one false move can result in damage to the knee joint that leads to knee pain and problems. 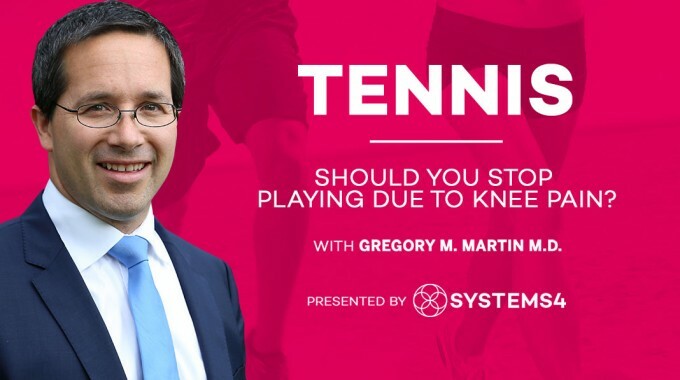 Taking time to learn about how the knee joint functions may help you better care for your own knees and maintain knee health. Here is a simple overview of knee anatomy. The femur or thigh bone sits directly above the knee. It’s the longest bone in the human body. The tibia or shinbone sits directly below the knee joint down to the ankle. It is partnered with the fibula, which runs along the outside of the leg. 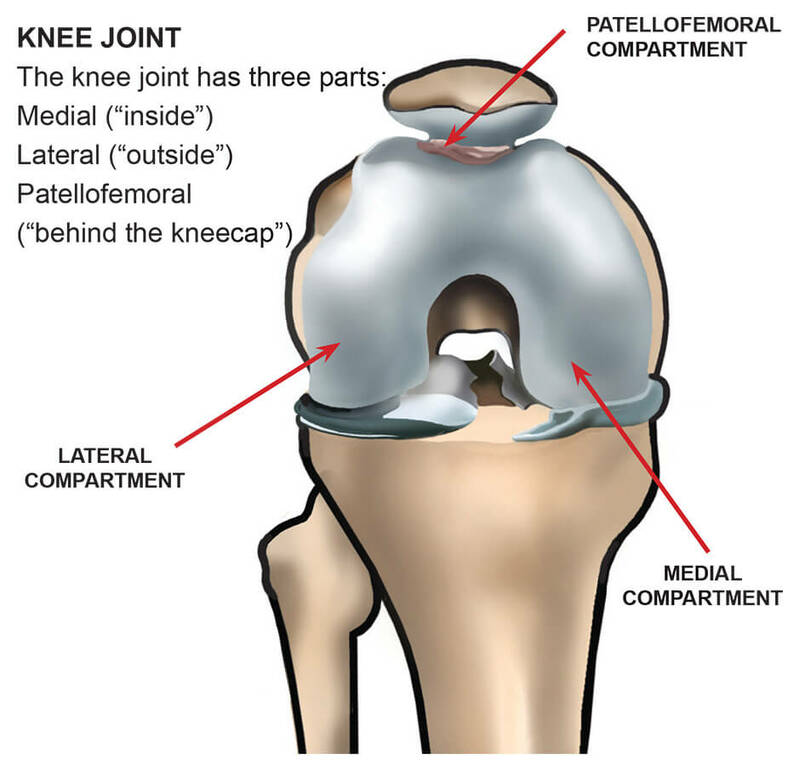 The patella or kneecap sits in between, protecting the knee joint. The patella moves on the front part of the femur when the leg bends. There are actually two joints in the knee. 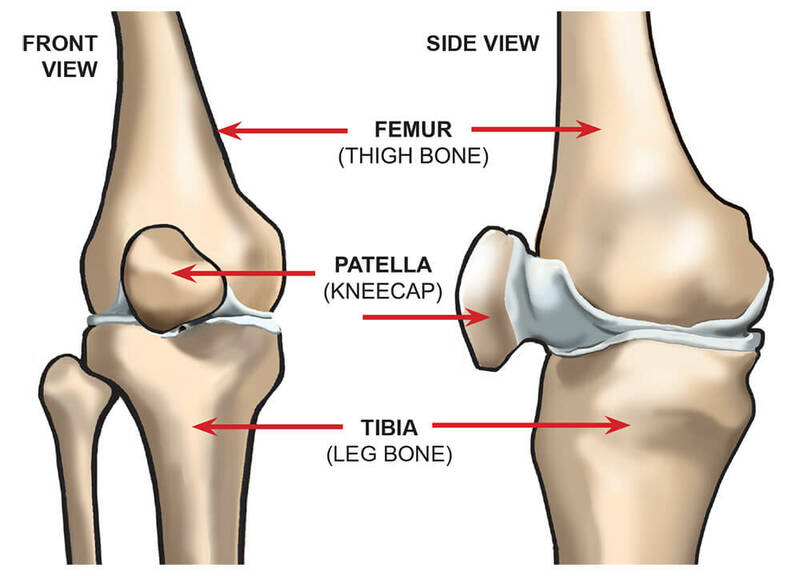 The patellofemoral joint is where the femur and the kneecap meet and move together, and the tibiofemoral joint is the point joins the tibia and the femur. These joints help the knees hinge back and forth and move side to side. The ends of the knees joints are covered with cartilage, the spongy tissue that also makes up body parts like the ears and nose. Places in the body where bones meet are covered in articular cartilage, which keeps the bones from rubbing together and creating friction. 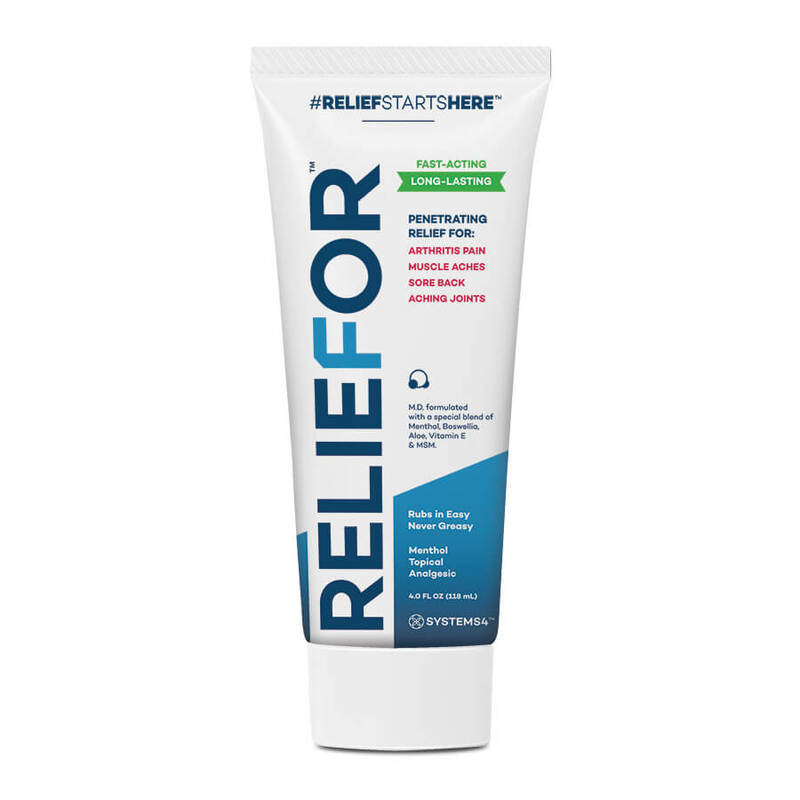 That makes cartilage crucial to keeping the knees pain-free when you run, walk, bend and squat. Meniscus cartilage is what makes up the crescent-shaped disks on the inside (medial meniscus) and outside (lateral meniscus) of the knee between the femur and tibia. Meniscus cartilage is like a shock absorber, cushioning the joint when walking to running. Joint or articular cartilage covers the bones of the knee, making movement smooth and friction free. Cartilage is about 80% water when we are young, and over time can lose water content to drop to about 70%. That makes a big difference, because cartilage needs to stay lubricated. 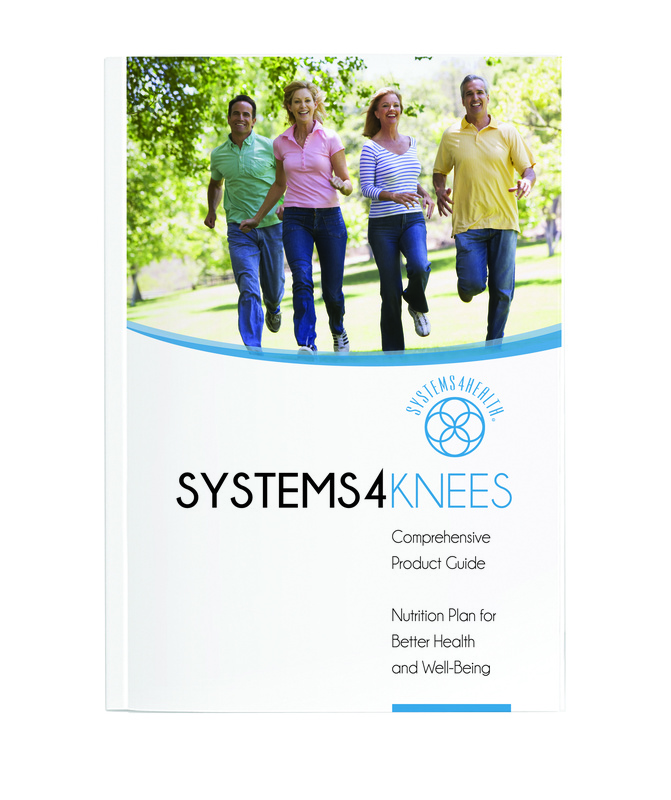 Our knees are filled with fluid that helps to keep the cartilage smooth and slippery. Too little fluid can lead to friction between the bones, and too much can stretch out the joint. There is poor blood supply in cartilage because there are no blood vessels to carry nutrients into the tissue. This means that it is not easy for damaged cartilage to heal. Cartilage also has no nerve endings, which means there is no pain in the cartilage, but that’s also deceptive. 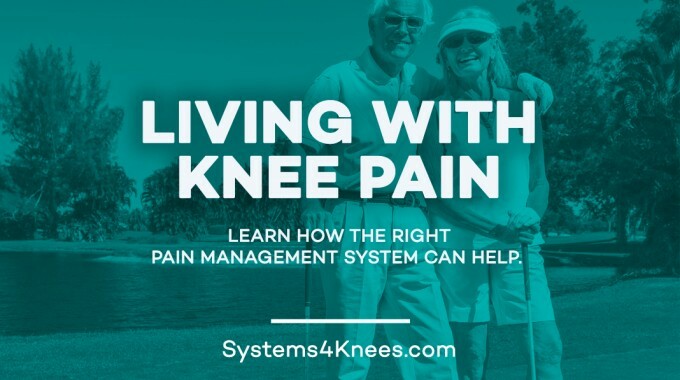 Pain does occur in the knee when cartilage begins to break down, because lack of cartilage causes the nerve endings in the bone to become exposed. It’s easy to remember how ligaments work if you picture them as strong rubber bands that help to hold the bones together and limit motion in any direction. Ligaments are crucial to maintaining stability and support as the knee moves and bends. The medial collateral ligament or MCL is on the inside of the knee. 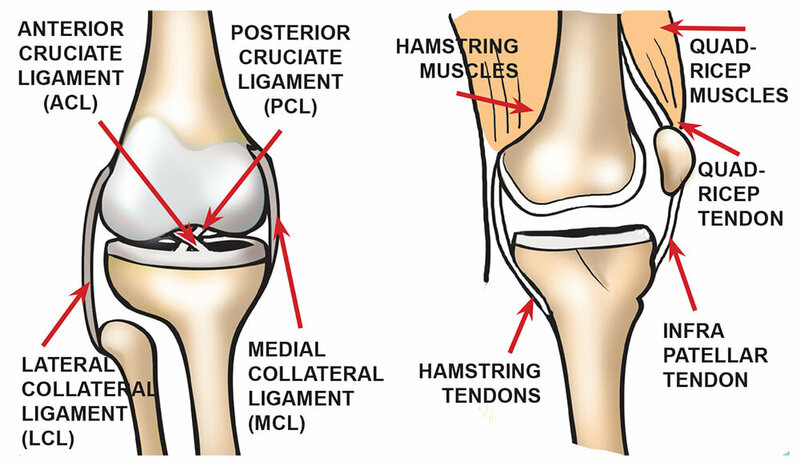 The lateral collateral ligament or LCL is on the outside of the knee. The anterior cruciate ligament or ACL crosses the joint in the front. The posterior cruciate ligament or PCL crosses the joint in the back. Just like rubber bands, ligaments lose some of their stabilizing strength when overstretched. Tears or pulls in the ligaments can cause the knee joint to buckle or give way in the wrong direction. Muscles running alongside the thighbone and shins help us to bend, straighten and flex the knee. 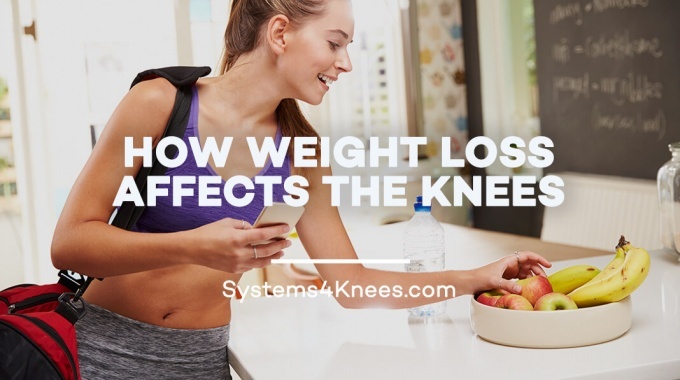 Major muscle groups that work with the knee joint include the quadriceps, which are in the front part of the thigh and connect to the patella or kneecap. The hamstrings, in the back part of the thigh, cross the back of the knee. Similar to muscles, tendons are the strong bands that connect muscles to the bones. Major tendons join the quadriceps and the patella in the front of the knee. Another joins the hamstring to the knee joint in the back of the kneecap. There are other parts, including the joint capsule, which is a thick membrane that wraps around the knee joint and keeps it lubricated. 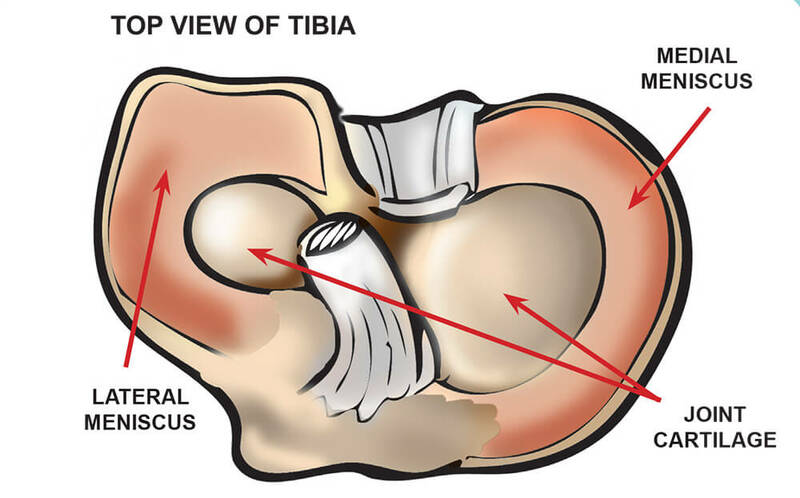 Fluid-filled sacs known as bursa are located throughout the knee to provide additional cushioning. Fat covers the patella to provide even more of a cushion. 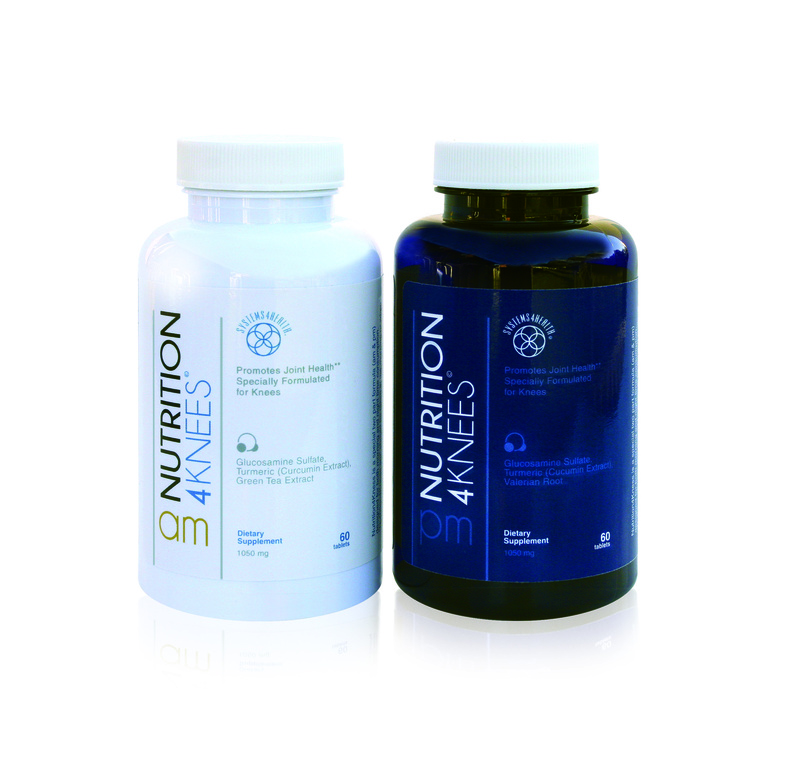 Blood vessels carry nutrients to and from the knee, and nerves provide signals between the knee and the brain. 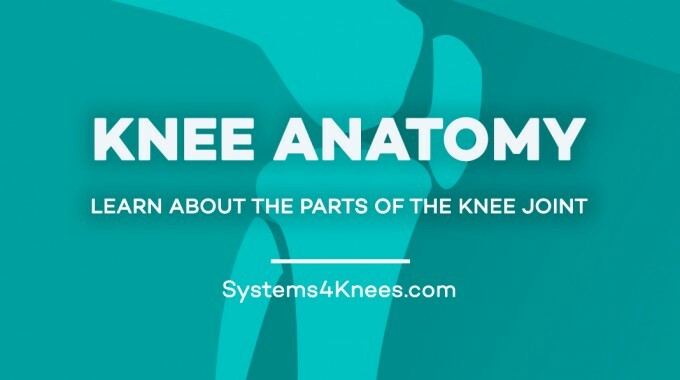 Understanding the anatomy of the knee joint is like having a user’s manual that shows you how your machine works properly—as well as what can go wrong. Getting to know how the parts of the knee joint work together is one of the first steps you can take to maintain or restore knee health.